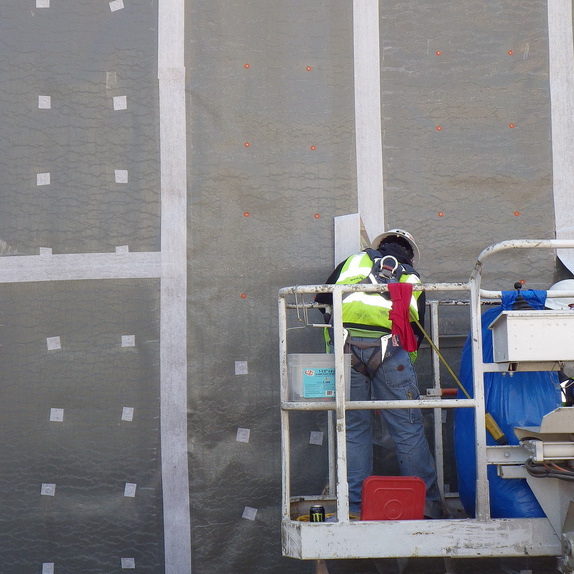 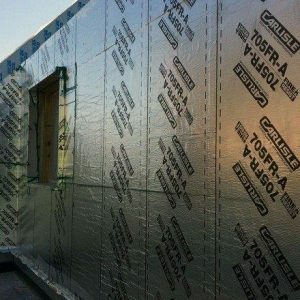 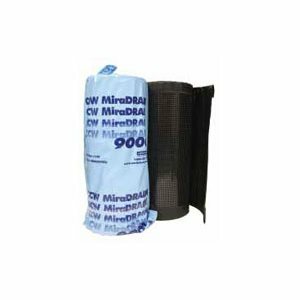 MiraPLY-V with SeamLOCK™ Technology is a nominal 70 mil vertical grade, self-adhering, blindside waterproofing membrane. 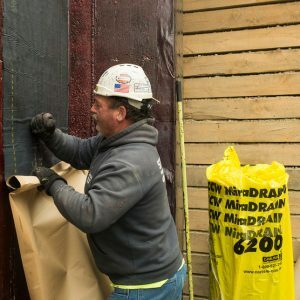 MiraPLY-V with SeamLOCK™ Technology with waterproofing membrane is a fully adhered composite comprised of a tough, durable and flexible 45-mil reinforced TPO backing with a 25-mil butyl alloy membrane/adhesive. 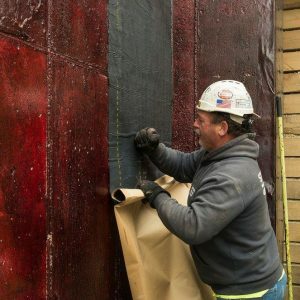 Typical Uses MiraPLY-V with SeamLOCK™ Technology self-adhering blindside waterproofing membrane is designed for waterproofing zero property line applications against soil retention systems.